This article appears in print in the August 2018 issue. Click here to subscribe. Entering Luisa’s Mexican Grill on Holman Road, you walk through a waiting area filled with fliers and chairs, past someone gently patting fresh tortilla rounds onto the comal (griddle), and through a time machine straight back to 1993. 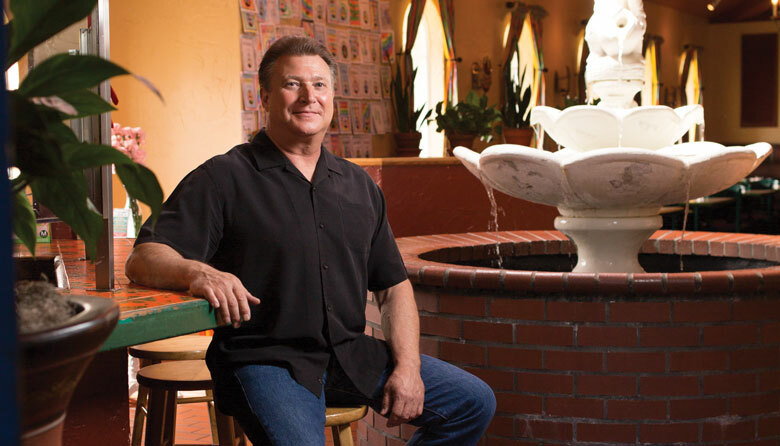 That was the year Scott Sellers, a machinist by trade, bought the restaurant then called El Toreador from family friends Carmen and Gonzalo Garcia. Sellers helped the Garcias in the restaurant from a young age, busing tables, and when they retired to Mexico, they asked if he would buy it. He changed the name—to honor Carmen Garcia’s mother—but not much else. He kept the chef, a buser, the giant brick fountain and hanging wooden parrots, and the recipes. As Sellers, who owns Luisa’s with his wife, Eun Hee Sellers, prepares to celebrate the restaurant’s 25th anniversary this year, all is much as it was at the beginning—even the dishwasher has been around for 15 years. Aside from the addition of a few new customer favorites to the menu, the main difference today is that the kids running around the restaurant (Sellers lovingly jokes that the place sometimes seems to be “Luisa’s Mexican Grill and Day Care”) are now the children of those who colored the menus that hung on the wall when he first took over the business. “We’re kind of a dinosaur,” says Sellers, laughing. He still shops for the restaurant every morning. The chorizo is still custom-made daily by the same local butcher, they still ripen their own avocados and prepare chiles rellenos in the old-fashioned, time-consuming way: frying the poblano pepper, deseeding, stuffing and then dipping it in egg batter before frying it again. That the restaurant hasn’t changed is deliberate. “We’d probably be more profitable with a bar,” Sellers says, “but what would we lose?” Although the restaurant serves an extensive selection of tequilas and a variety of margaritas, he worries that a designated bar might make the restaurant less of a safe space for the families he loves serving. So instead, he makes little tweaks to the menu while keeping the small things that his customers love most: the beloved, sharp coleslaw that graces many dishes; the salsas made daily from freshly cooked tomatoes; and the warm, seconds-off-the-griddle tortillas slathered with butter and rolled up. Greenwood, 9776 Holman Road NW; 206.784.4132. Serves four, make well ahead of eating to allow for chilling time. Coarsely grind the cocoa nibs (a mortar and pestle works well). Stir the nibs, cinnamon stick, cream, ½ cup sugar and vanilla in a medium saucepan and bring to a boil over medium heat. Once boiling, remove from heat, cover and leave to steep for 30 minutes. Place a 3-inch deep baking pan large enough to hold four ramekins, with approximately 1-inch of water in it, in the oven and heat to 350˚F. Strain the mixture, then whisk the egg yolks together before adding, along with the salt. Divide the mixture evenly between four 4-ounce ramekins. Place ramekins into the water bath in the oven and bake for 45 minutes. When finished baking, remove and refrigerate until completely cool (a few hours, minimum), then sprinkle ½ teaspoon of sugar on each ramekin. Heat sugar until caramelized with a small torch or under the broiler, about three minutes. Cocoa beans, like the whole ones Sellers brought from Mexico, are hard to come by, but local chocolatiers like Theo Chocolates sell bags of nibs—broken up pieces of beans—that work just as well. If you don’t have a kitchen torch, use an upside down roasting pan or casserole dish to lift the ramekins as close to the broiler as possible.